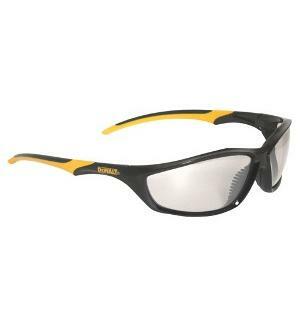 DeWalt Safety Glasses Router Indoor/Outdoor Lens Model DPG96-9D, has a slim, lightweight frame style. 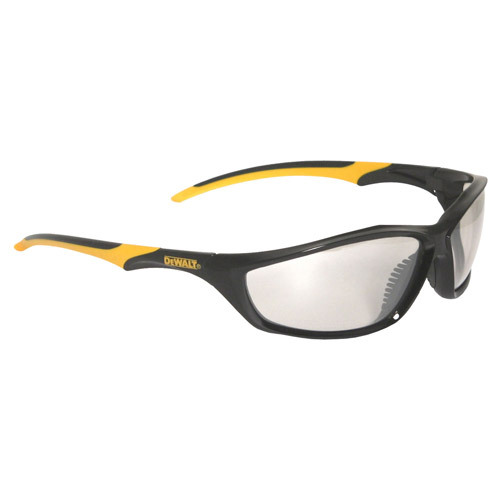 The dual mold rubber temples provide a secure, comfortable fit. Polycarbonate lens provides impact resistance. Soft, rubber nosepiece offers maximum all-day comfort. Protects against 99.9% harmful UV rays. Meets ANSI Z87.1+ Standards.